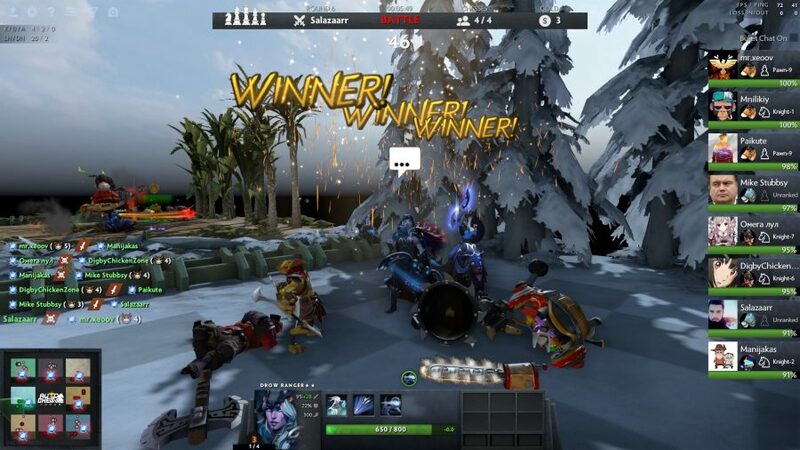 Dota Auto Chess may be a worldwide phenomenon and the most successful third party Dota custom game ever, but that doesn’t mean playing it is a simple process. Like most things associated with Dota it has complexities you couldn’t even imagine, but this guide will set you on a path to Auto Chess greatness. To even load into a match you have to know your way around the Dota client and then once you start playing the lack of tutorials mean it can be even harder to pick up than the basics of real Dota. And then once you start to get the hang of things you’ll learn the ever changing meta, and try to figure out all of the hero synergies. It really can be very confusing. However, Dota Auto Chess is a very rewarding experience once you get the hang of it. Close matches that come down to tiny decisions feel just like winning a close game of Dota, which is to say unbelievably satisfying. So pay attention to the basics here, and soon you will be enjoying one of 2019’s best gaming surprises. 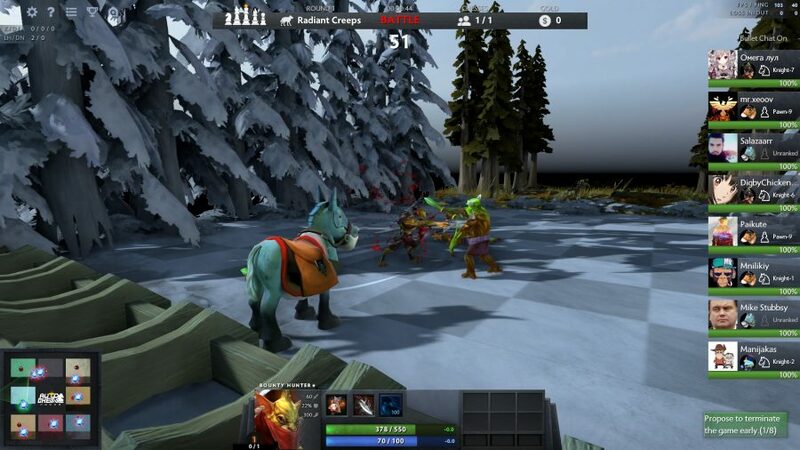 It may not be immediately obvious how to access Dota Auto Chess, after all, you won’t be finding it in the Steam top sellers list any time soon, but once you know where to look it is pretty easy to install and play. All you have to do after booting up and logging into Steam, is find Dota 2 in the store and install it. 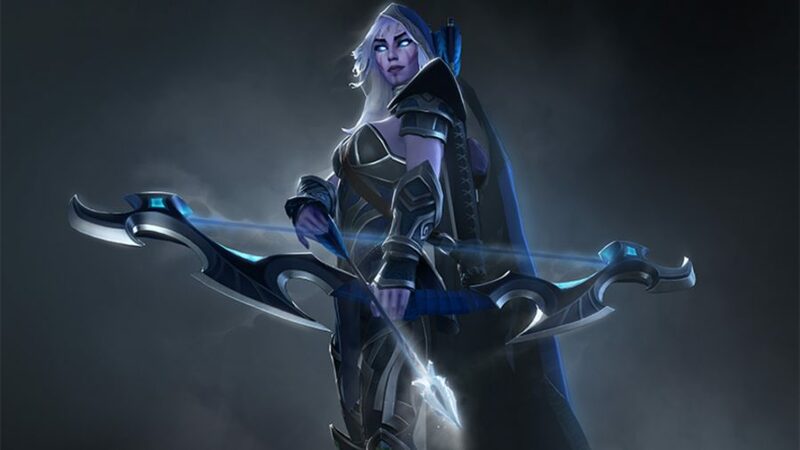 Dota is completely free to play, and runs on pretty much anything, so there shouldn’t be any issues here. Once Dota is installed, boot up the game and once you reach the main menu there may be a square featuring Dota Auto Chess. If it is there, give it a click and it will take you straight to the Auto Chess page. If it isn’t on the main menu you are going to have to click on the ‘Arcade’ tab at the top of the home screen, and then search for Dota Auto Chess in the search bar that appears on the upper right corner of the screen. Once you reach the Dota Auto Chess workshop page you should see a big install button in the lower right corner. Hit that and Auto Chess will start installing. Once it has installed that button will change to a ‘Play Dota Auto Chess’ button that will, unsurprisingly, start searching for a server to join and you will soon be playing your first game of Auto Chess. After the initial installation of Auto Chess, you can simply go to the ‘Library’ tab in the ‘Arcade’ section of Dota to find the Auto Chess page and start playing, instead of having to search for it every time. Once you make it into a match of Auto Chess you will have an 8×8 chess board in front of you. Word to the wise before we start: a good knowledge of chess won’t serve you particularly well here. You start with one gold to your name and given a selection of five randomly picked Dota heroes, or ‘Chesses’ as they are known in Auto Chess, to choose from as your first piece. Using your courier, the character you control, you must select the hero you just purchased and place it somewhere on your side of the chess board. Once the preparation phase timer has run out your hero will automatically battle some creeps. Once a battle has started you are powerless until it is over, with the AI taking care of all fighting. As each round goes on you will earn more gold, which can be used to buy more heroes, eventually creating a mini army of Dota heroes on your side of the board. Soon you will start to battle other players and the heroes they have purchased and placed on the board. To beat them you will have to assemble a stronger group of heroes and place them in positions that work strategically. Every round that you lose will result in your courier taking damage, and once your HP is down to zero you are out of the game. The winner is the last person standing, so the more battles you win the longer you will stay in the game. You can see the health stats of your opponents on the right-hand side of the screen. Of course you can upgrade the heroes you have on the board. If you purchase three of the same hero you can combine them into a level two hero, and if you have three of the same level two heroes you can combine them into a level three hero. Upgrading your heroes is the key to staying powerful, but sometimes you might get unlucky with what the hero store is offering you each round. Unlike actual Dota, Auto Chess is updated multiple times a week with balance changes and tweaks. This means that the meta shifts almost daily sometimes, and chances are by the time you are reading this the meta will have already shifted slightly, so we won’t spend too much time going into specific heroes. However, there are a few other meta strategies to take note of, notably the best hero synergies and buffs you can get. Each hero has both a species and class, and if you have multiple heroes of the same class or species you will get some kind of bonus. Each species and class has different requirements to unlock their respective bonus, but this is where the real strategy of Auto Chess comes in, getting as many buffs as you can to make your team stronger. Each bonus is obviously beneficial, but some are stronger than others. The Mage buff reduces all enemy’s magic resistance by 40% if you have three of Mage class Chesses on the field, and by a further 40% if you have six, which is a massive advantage for you. In terms of Mage species, having three or more Elves will give all Elves on your team extra evasion, too, which can turn close fights in your favour. Plus, having multiple Undead species will decrease opponent’s armour. Then there is the Naga buff, which is very useful if you can get it going into the late game. Two Naga characters will give all allies an extra 30% magic resistance and four will add another 30% on top of that, rendering your enemy’s Mage Class units useless. If that all sounds a little confusing sticking to Goblins, Mechs and Warriors will give you some nice bonuses that will synergise well, and should help you pick up the basics of how this system works. 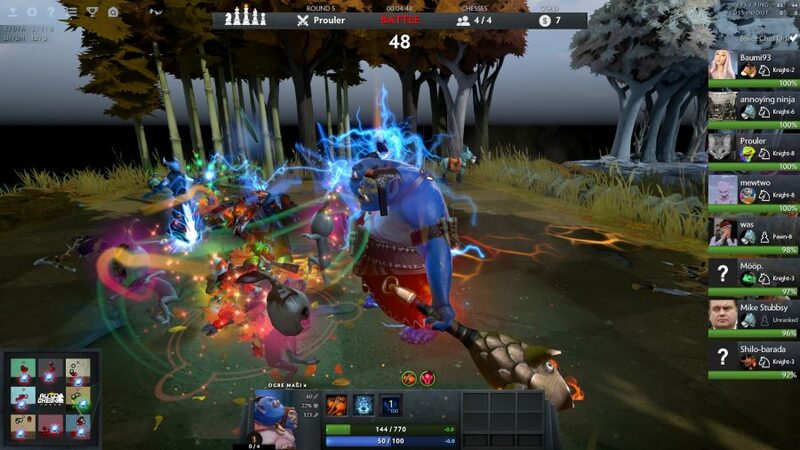 Practice makes perfect in Dota Auto Chess, and you can expect to lose a lot of games en route to becoming a champion. Think about your hero placement very carefully. As a basic rule of thumb, you are going to want to put your tanks in the front lines with damage dealers and healers in the back, as this means your beefier heroes will be the first to be attacked. However, you are also going to want to think about your opponent’s positioning. If you know a lot of your opponents are using heroes with AoE spells consider spreading out your pieces more, but if you know they are all single target damage dealers get those tanks all up in their face. Spending all your gold every round is a straight up bad idea. For every 10 gold you have at the end of every turn you will gain one gold in interest. This is only good for five gold per turn, so having more than 50 is pretty useless, but free money is free money, so it’s always worth saving up some gold as soon as you are in a comfortable tactical position. Drag the camera away from your chess board and you can see the lineup and benches of your opponents. Do this whenever you can to keep up to date with what everyone else is up to, and what heroes and strategies they may be prioritising, so you can react with powerful counters. Riki has an ability where he will make all of the heroes on your bench invisible if he too is on the bench. If you have spare gold and space on your bench this a great way to spend some money, as it will take opponents a second or two extra to figure out what heroes and strats you can use, and every second counts in Dota Auto Chess.